See our comprehensive list of malls and shopping districts in PA. Enjoy the best mall shopping in Pennsylvania. Largest Shopping Mall in the Country! Made up of two huge buildings, The Plaza at King of Prussia and The Court at King of Prussia, this shopping mall is the largest in the country and home to over 400 stores. The two sections are linked by a covered outdoor walkway so shoppers can easily visit both whatever the weather. 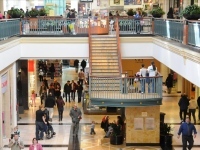 You'll find clothing, accessories, furniture, decorations, beauty products, books, sports goods, entertainment, and much much more at this mammoth mall located near Philadelphia. Designer names such as DKNY, Louis Vuitton, Gucci, Cartier and Hugo Boss can be found here, as well as popular department stores such as Macys, Sears, Nordstrom, Lord & Taylor, and Bloomingdale's. King of Prussia is open 7 days a week. Some of the Best Mall Shopping in Pennsylvania! Third largest shopping mall in the country, this western PA mall boasts over 175 shops to meet all your needs! Spend the day browsing among the department and specialty stores including Christmas Tree Shops, Body Central, Zumiez, Buckle, Coldwater Creek, Express, aerie, and Wet Seal! Kids will love visiting Build-A-Bear Workshop, while mom and dad will enjoy JCPenney and Sears. From trendy stores to bridal shops, this mall has it all. Visit one of the 15 delicious restaurants or stop for a snack at the food court. For a fun end to a great day of shopping, see a movie at Millcreek's Cinemark 6 movie theater! Great Affordable Shopping in Philadelphia! Named after Benjamin Franklin this Philadelphia shopping mall is one of the largest in the country. With over 200 stores, two food courts and a movie theater it's easy to spend your whole day shopping here! 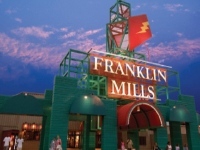 Franklin Mills Mall is made up primarily of factory outlet stores, and is one of of the largest outlet malls in PA, so it's is a great place to get amazing deals on apparel, housewares, and furniture. Shop at outlet stores such as Gap, Nine West, Kay Jewelers, Sears, Ecko and Charlotte Russe among many others! The AMC theater is open later than the rest of the mall so you can relax after a day of shopping with some popcorn and the latest blockbuster hit! With over 130 stores this three story mall offers a huge variety of goods to shoppers. Its anchor department stores include Bloomingdale's, Sears and Macys - shopping for all price ranges. Specialty stores such as Build-A-Bear Workshop, Spencer Gifts, and Swarovski are located in the mall along with trendy clothing stores such as Aeropostale, Abercrombie & Fitch, and J. Crew. Regular events including exhibits and signings will keep shoppers engaged whenever they need a break from shopping. One of the most conveniently located shopping centers in PA for Philadelphia residents, Willow Grove Mall is only 12 miles outside of Philly. 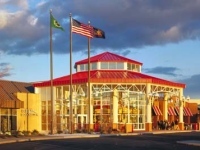 Shop at the Largest Shopping Complex in Western PA! One of the largest malls in the country, Pittsburgh Mills is a one-stop shopping experience. Everything you need to shop for whether it be apparel, outwear, accessories, jewelry, sports gear, home goods, pet goods or even groceries, it can be found at this huge Pittsburgh mall! 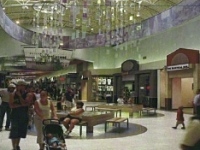 The mall complex is made up of two components: The Galleria at Pittsburgh Mills - an indoor complex with over 150 shops and department stores such as J.C. Penney, Macys, and Sears Grand; and The Village at Pittsburgh Mills - a shopping center with over 30 stores including big-box stores such as Best Buy, PetSmart, and Walmart. A great choice for mall shopping in PA! Wonderful Shopping Opportunities at this Philly Mall! 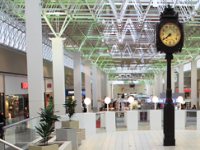 This great Philadelphia mall located in the heart of the city offers you more than 60 fantastic shops and restaurants. Shop at unique upscale shops such as LOFT, Swarovski and Jos. A Bank. Stop in the food court for a bite to eat at one of the many delicious restaurants available there. Fun events and sales take place regularly, check out their website for more details. This mall in Philadelphia is open Monday through Saturday from 9:30am to 7:00pm and Sunday from 12:00pm to 6:00pm. Over 100 Stores in the Heart of Philly! 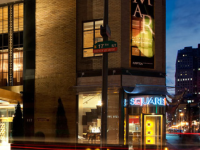 Conveniently located in the heart of downtown Philly, The Gallery at Market East has a large variety of stores and eateries that are sure to fit the needs of every shopper. With over 100 stores, you are guaranteed to find just what you are looking for. Get anything from some new reads from Books a Million, to a new pair of running shoes from Foot Locker. And don't forget to stop and get some delicious treats from one of the various eateries, including Adam's Cafe, Charley's Grilled Subs, and more. This beautiful four-story mall in Philly is conveniently open on Monday through Thursday and Saturday from 10 am through 7 pm, Friday from 10 am through 8 pm, and Sunday from 12 pm through 5 pm. 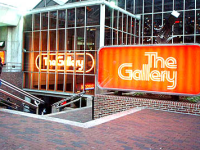 Stop in at The Gallery to shop, eat, and have an all-around fun time! From Big-Name to Local Businesses in Philly! A shopping district representing over 200 businesses in the uptown area of Philadelphia, Rittenhouse Row is one of Philly's top shopping destinations. Consisting of a variety of businesses, including stores, hotels, restaurants, spa-salons, galleries, and more, Rittenhouse Row has it all. From big-name national retails such as Urban Outfitters, Lacoste and Guess, to local retailers, this Philadelphia shopping district has a wide range of shops to choose from, so you are sure to find everything you're looking for. 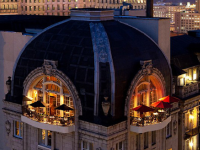 Grab some delicious food while you're shopping at one of Philly's most famous eateries, Di Bruno Bros, and book a stay at one of Rittenhouse Row's five-star hotels. Don't miss this unique Philly shopping experience - visit the iconic Rittenhouse Row! A One-Stop Shopping Mall in Philly! Rich with a wide variety of shops, eateries and more, Cheltenham Square Mall is one of Philly's go-to shopping centers. Find some large, big-name retailers, such as Home Depot, Burlington Coat Factory and Target, and also browse through some small, specialty shops, including Fashion Town, DSW Shoes, and Anna's Linens. Not only does this Philly mall offer great shops, but they also hold a variety of events and charity programs throughout the year. Take a break from shopping, and sit down for a nice meal at one of Cheltenham's delicious eateries, including Chili's and Big Daddy BBQ. The mall is open on Monday through Saturday from 10 am through 9 pm, and Sunday from 11 am through 6 pm. Elegant & High-Class Shopping in Philly! One of Philly's most elegant and high-quality shopping centers, the Bellevue of Philadelphia contains a variety of shops and eateries, all within the walls of the five-star Hyatt at Bellevue. Browse through such chic stores as Polo Ralph Lauren, Tiffany & Co., Nicole Miller, Williams-Sonoma, and more. A high-class shopping experience, you will be surrounded by the beautiful architecture that the Bellevue has to offer, right in the heart of Center City Philly. Stop in at one of the fine and casual dining eateries, including Bliss, Starbucks, the Amazon Cafe, and more. Open on Monday through Saturday from 10 am through 6 pm, and Wednesday from 10 am through 8 pm, The Bellevue is guaranteed to satisfy and impress all shoppers.